Take an official look at this weekends upcoming return of this Air Jordan 6 Retro. 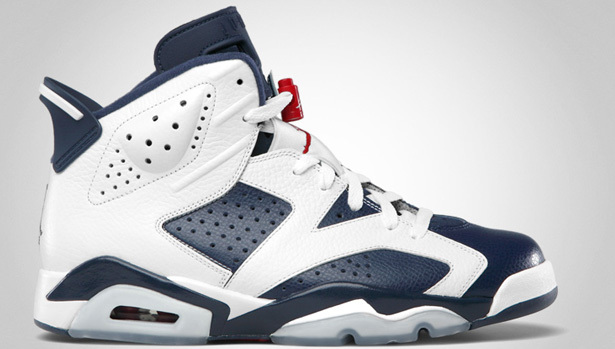 This weekend marks the return of the Air Jordan VI. 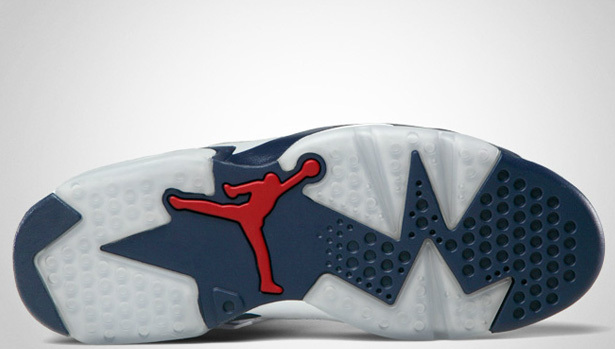 First up, this Retro+ colorway originally released in 2000. 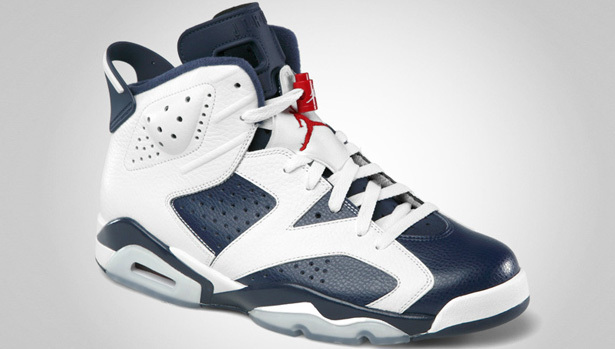 The "Olympics," properly nicknamed from Ray Allen originally wearing this colorway during the 2000 summer Olympics, will be the first non-original retro colorway of the Air Jordan VI to be re-released. One of the most higly anticipated releases of 2012, these will be hitting select Jordan Brand accounts worldwide as a general release this Saturday, July 7. Retail is $160 for mens and they will be available in full-family sizing all the way down to crib soft bottoms. Enjoy these detailed images below and good luck to all those trying to get a pair during this weekend's release.